Background: Our 2g Talon has been sitting for months with toasted end clutches (still drivable in gears 1-3). Rockers are rotting and daughter doesn’t like it so not really motivated to do a lot with it. Engine and trans are good. Just needs clutches which I have and are easy to change. 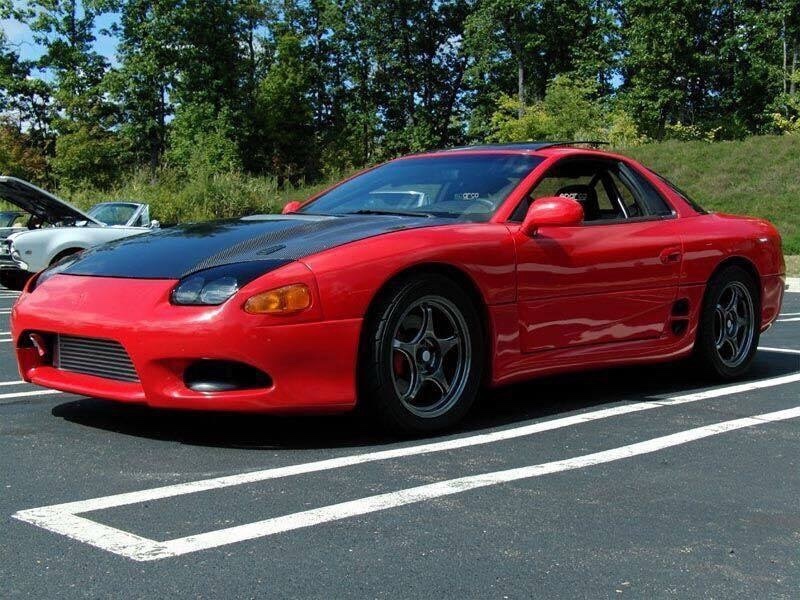 Opportunity: A race’ish 3000GT roller came up for sale (thanks Matt ) that I’m familiar with. Thought about buying it once before. This time pulling the trigger. My oldest boy just turned 15. Showed it to him and he was stoked. Wife has pretty much given up on me being a normal man that buys nice new things and watches football on the weekends so “lol sure” was good enough for me Struck a deal and will be grabbing it in a few weeks. Plan: 4Gswap street car that can be driven and raced by my wife and son without an instruction manual. So that requires, AC, heat, full interior, auto, no nitrous, no gauges to watch, stomp it and forget it. Engine will be a 2.4 long rod, with 2g head and intake. Will be torquey and still rev to 9k if needed but realistically the powerband plan will be to 8k. Will be a bolt on turbo setup so it’s more sleeper, simple and can run in the bolt on class at the shootout. I reached out to Robert Young at FP. He’s seeing if he can cook up something special for me. Otherwise Donnie suggests a 35r into a bolt on housing. Trans will be mostly stock, maybe a shift kit, and will be controlled by a stand-alone TCU from forced four. It will be fully tunable for cruise and WOT including line pressure and tq converter lock up. This is one key to making it a do everything car. 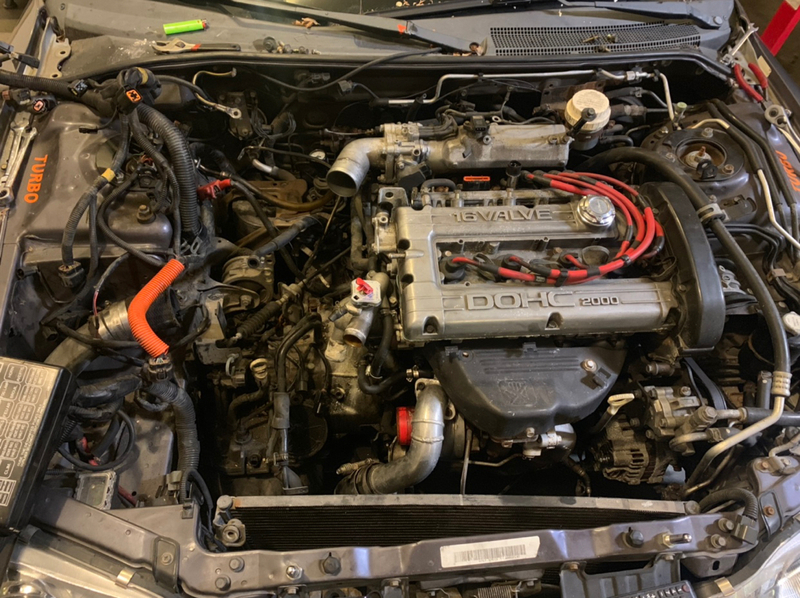 Also just a stock restalled converter, should work if I keep the cams and turbo mild/moderate. Haven’t decided on an ecu yet. For cost, it may end up being ECM Link. I’d love AEM or haltech though. Hard not to do AEM since I know it so well. But Haltech has a full engine harness option too which is appealing (but haltech money of course lol). And if I want to wire a little, ms3 would be a great option and not too bad with a flying lead harness. First 4Gswap in a 3S. 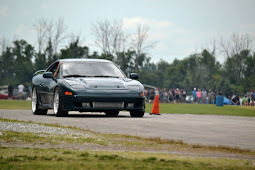 9.65 @ 143MPH (37psi) Quickest/Fastest 3S with stock fog lights. Go fast with class! Last edited by familyMAN; 04-16-2019 at 07:36 PM. Started the tear down last night. I can’t wait to get rid of the cruise control, stock vac lines, EGR, etc crap! looks like your going to need some fog lights!!! Yes I will! Already planning on getting my original FMIC I had on my car. Garrett has it for some reason now. Can’t remember why. Possibly for this red car as he was going to build it with his brother but his brother backed out so G sold it. Long story to say that I will have FMICt that is already set up to be flipped so you can run oem fog lights like a real3S. I may even have the old 4Gswap intercooler piping in my stash. Last edited by familyMAN; 04-16-2019 at 08:10 PM. so now you're gonna start making up stories involving family members to justify another 3s build and a 4g at that..!!! As if 1 build thread wasn't enough...now you've got 3!! 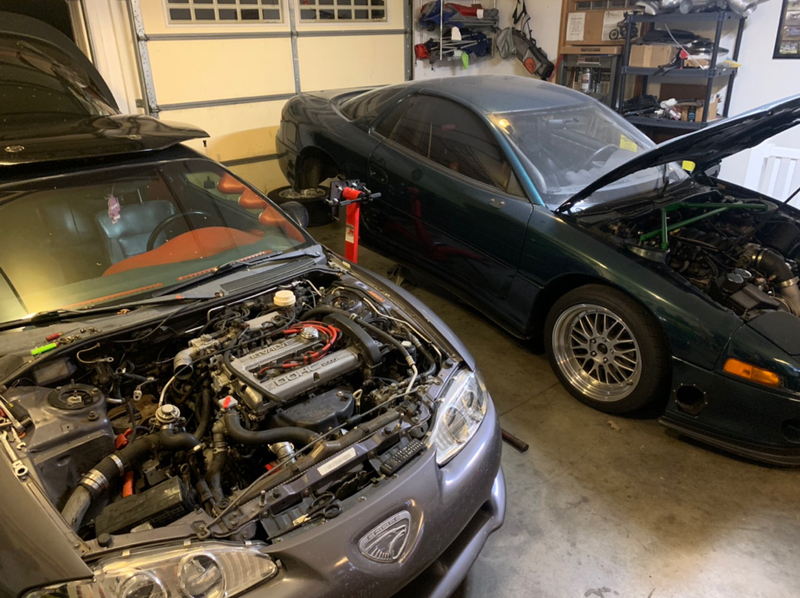 AMG, LS3s and now another 4g swap! Lookin forward to updates and progress. Looks like another fun project. I'm going to pick up a '92 Talon TSi AWD today that needs some work. I don't think I'll be swapping the 4G63 into my 3S though...but it's fun to watch you guys do it! 4g in a big heavy car. Meh, you got 100k in it already stupid. End Facebook rant. Looks like fun, and it's great your an awesome dad as well. lol. It was a good excuse to get another 3S to 4Gswap. Just need one more for a 3.7 auto swap. I think we are going to sell the AMG though, so that build thread will disappear into the archives. Yeah should be fun . I'm told the car isn't as clean as it was in that photo but we'll see what we can do.